“The first time Tagore and Einstein met was in 1926 in Berlin. They were introduced by a common friend who thought, ‘You are the big thinkers of our time. You should meet,’” Dasgupta said. “I’m also a scientist and [their conversation] was something that really triggered my interest in the scientific view of humanity and how does religion and human consciousness tie-in to the world around us. Her one-woman show, which will feature modern- and folk-dance techniques as well as her signature traditional Indian styles of Bharatanatyam and Rabindra Nritya, will be showcased Sept. 14 to 22 at Twelve Gates Arts, an Old City gallery. 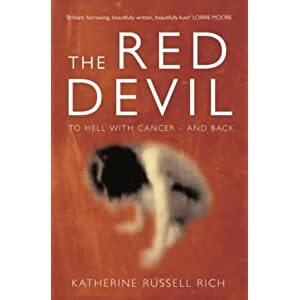 Katherine Russell Rich was already an acclaimed author for her cancer survival memoir The Red Devil when she was my playwriting student for a semester at NYU in ’08. She was toying with writing a one woman show based on her new memoir Dreaming in Hindi which hadn’t been released yet. My fiancee (now wife) is Indian-American and we wound up getting married in India, so Kathy and I had some amusing cross-cultural stories to swap. She was also kind enough to introduce me around at the Moth, and I wrote a screen treatment for Dreaming in Hindi but we never could get the ending right…All of these were terrific experiences. I’ve now more or less relocated to her old stomping grounds in and around Philadelphia so I think of her often. She passed away this week. She once told me she had prayed to Ram for me. Rest in Peace and perhaps we’ll cross paths again next time around. Thu., Jan. 12, 7 p.m., free, with Jeffrey Stanley and Justin Jain, Live Arts Studio, 919 N. Fifth St., 215-413-9006, livearts-fringe.org.